Browse the web without ever leaving the security of the container. Includes AES 256-bit encrypted back-office network connection for auditing/compliance. 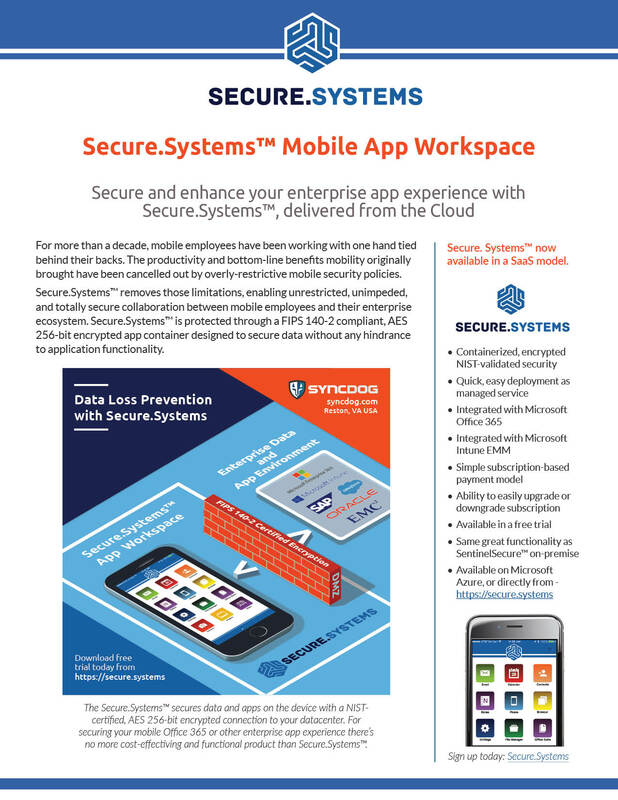 Securely run hybrid apps hosted in proprietary app frameworks. Hybrid apps remain within the secure con nes of the container. Secure Instant Messaging via Skype for Business, Microsoft Lync, Microsoft Communicator and Google Talk. All messaging remains within the container. SyncDog-hosted mobile chat client where data and communications are kept within the secure container using Extensible Messaging & Presence Protocol or XMPP.